Clematis vines are consistent garden performers that are relatively tolerant of a variety of conditions once mature. If that is the case then, why are clematis leaves yellow even during the growing season? A clematis with yellow leaves may be prey to several insect pests or the soil nutrient content might not be sufficient. In most cases, it is not a cultural problem but a few notes on what makes clematis leaves turn yellow might help you sort out the root cause. What Makes Clematis Leaves Turn Yellow? The delicate trailing, climbing stems and leaves of clematis create a fairytale look draped over a trellis or trained to an arbor. Once the elegant flowers appear, the entire vision is of dancing blooms and a riot of color and texture. If a clematis vine has yellow leaves, you might look first to the soil and drainage, site and lighting. 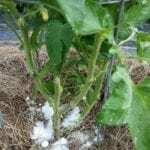 If correct cultivation conditions exist, the problem may be pests or even disease. There is a saying that clematis plants like to have their heads in the sun and their feet in the shade. 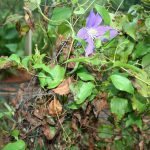 In other words, clematis needs at least 6 hours of full sun to flower but the root area should be well mulched or have protective plantings around the base of the vine. Soil should be well draining and not prone to hold moisture. Compost worked into at least 8 inches of soil prior to planting can enhance drainage and add important nutrients. Air movement is also important for healthy plants. Nutrient causes of yellowing clematis leaves include iron or magnesium deficiency. Iron deficiency means the pH is high. Amend with iron chelate. Magnesium deficiency can be taken care of by mixing 1 teaspoon of Epsom salts with 1 gallon of water. Use the mixture 4 times per month to restore the leaves to their glorious green. Once you know your site and conditions are correct for the plant, it is time to take a look at other causes of yellowing clematis leaves. Even in areas with adequate drainage, fungal issues can take hold. A variety of rust diseases can cause yellowish spores on leaves and lesions over the foliar surface. 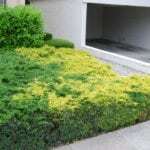 Watering only at the base and creating a ventilated plant will help prevent these. Tomato ringspot virus is transmitted through nematodes and infected plants. 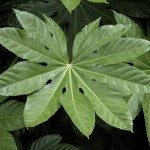 Any infected plants need to be removed. High heat can cause a clematis with yellow leaves that wilt and drop. 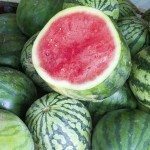 The heat stress is usually not fatal and the plant will come back as usual the following year. Insects are common garden pests and they can affect even the most stoic plant. When a clematis vine has yellow leaves and all cultural causes have been examined, it may simply be some bad bugs. Mites are the usual suspects. Their sucking behavior causes the leaves to bleach and yellow. Usually, a good horticultural oil or soap sprayed every few days will take care of these tiny pests. They can be hard to see, but placing a piece of white paper under the foliage and shaking a vine will help with this. The tiny black specks are your culprits. Most of the causes of leaf yellowing are easy to prevent or remove, and you will have your spectacular vine back in tiptop shape in no time.